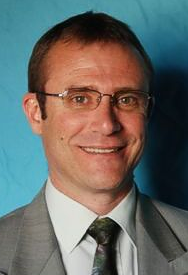 Heinrich Grosskopf graduated and was licensed from the University of Pretoria and trained as a minister in the Dutch Reformed Church (Nederduitse Gereformeerde Kerk) in South Africa. He went on to qualify himself in pastoral care, from the same university in 2000, obtaining an MTh (Practical Theology), with a focus on marriage and family therapy. Then in 2005 he obtained a PhD from the Northwest University in Potchefstroom. Heinrich spent his first decade (1994-2004) as a minister in a rural congregation in Coligny, in the Northwest Province of South Africa. Then, in 2004, he and his family immigrated to Canada to serve in a rural congregation in Carberry, Manitoba, at Knox-Zion Presbyterian Church. Heinrich and his wife Carina have three grown children, and one granddaughter. Their first son Paul and his wife Tahnee had a baby, Lahna, in April 2018; they live in Winnipeg. The second son, James, lives in Brandon, Manitoba and their daughter, Carin, lives in Edmonton. Heinrich has been the minister of Dayspring Presbyterian Church since September 2007.